Young blonde Iris Grant had often gazed at the gleam of steel and glass across the park from her apartment, but she never dreamed that she would someday work in the Morris Building. She was quite satisfied with her job as head nurse at Huntsford General Hospital and had a growing fondness for Dr. Harry Marsh, a handsome, gray-eyed young surgeon. 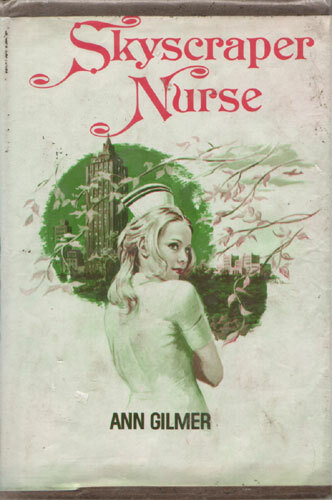 Only after she had been unjustly passed over for a promotion at the hospital does Iris accept the offer of an ex-patient — the millionaire James Morris — to become resident nurse of his new skyscraper. Iris finds her new work quite different from that in the hospital as she treats various tenants of the building, including a young diabetic teller who goes into shock and the wealthy financier Parrish Crown, who has his own reasons for not consulting a doctor. Her friendship with James Morris’s son, George, deepens as she encourages him to return to architecture, the profession that he really loves, rather than continue to work for his father in a job he dislikes but is reluctant to leave. At the same time she feels that she is falling in love with Harry, but is not free to let him know until his divorce from his estranged wife is finalized. Iris is confident that she will work out her feelings about Harry and George with time, little expecting that she will do so only when the greatest possible disaster strikes the Morris Building and she herself is faced with death.